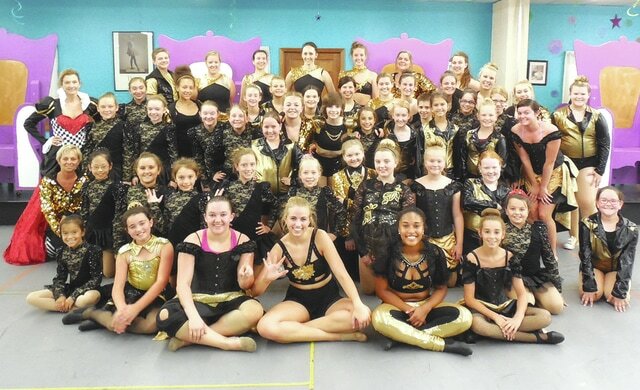 Submitted photo SPRINGFIELD – Miami Valley Dance Center is proud to celebrate its 35th Annual Dance Extravaganza, “Glitz & Glam.” The performance will take place at 6:30 p.m. on June 19 and 20 at the Clark State Performing Arts Center, Kuss Auditorium, 300 S. Fountain Ave, Springfield. Tickets are available through the Clark State Box Office. SPRINGFIELD – Miami Valley Dance Center is proud to celebrate its 35th Annual Dance Extravaganza, “Glitz & Glam.” The performance will take place at 6:30 p.m. on June 19 and 20 at the Clark State Performing Arts Center, Kuss Auditorium, 300 S. Fountain Ave, Springfield. Tickets are available through the Clark State Box Office.